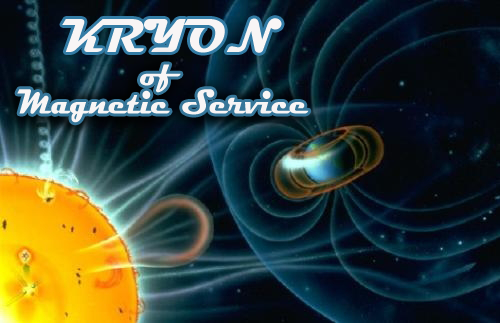 Greetings, dear ones, I am Kryon of Magnetic Service. The channelling process is far more common than you know. I know who's here, and there are those in this room, right now, who know how channelling works. When the healer steps up to the patient, there's a communication. It's channelling, and the healer knows all about it. Sometimes the healer steps aside and in comes the information the healer needs, which is often verified by the innate of the patient in front of them. Then the two of them begin the balance, the dance of energies, and the channelling begins. Now a healer and a channeller have something in common. They both are channelling, but in different ways. Healers don't heal. They balance. No Human Being can force healing on another. However, most patients are asking for balance so they can heal themselves with the assistance of the balancing healer. True healing requires this cooperative process, and what you're hearing right now is similar. There is balancing energy present within the message being delivered. The messages I give contain energy, dear ones, and like the healer, there is balance to help clear the way within your thinking process. This clearing may help you make a decision, enabling you to move to a different level of understanding. It's a healing of the mind. This is free choice. Many times, the message is simply the exposure of the energy of truth, ripping away the veil for a moment, which creates balance. So that's what we want to do tonight. This is not a long channelling, but one that is profoundly different, for we want to open a subject we don't talk about very often. We have spent many months communicating to you about the current shift. We actually started this information way before 2012. Now we've continued into 2013 and all through 2014, giving you even more attributes of the shift. In these years, we made suggestions about what is next for you. We told you of the energies around you and what to expect, and we gave you a warning not to despair over the dark and negative energies that you see around you. We told you that your current situation is like a final battle between dark and light. We also told you that the things that have low consciousness would quickly rise to the forefront and would show themselves in all their darkness and ugliness. What happens when you move a lot of large rocks in your garden that you've never moved before? The things that live under them, in the dark, suddenly scamper out when exposed to the light. Perhaps you didn't even know they were there, lurking, but they were all along. We told you some time ago that these dark things would occur at this time. You would see them in your news, and we begged you not to despair. We gave you instructions about how to have peace with it all, and we gave you instructions about tolerance and benevolent behavior, but we've never talked about the soul, not like this. What is the difference between the Higher-Self and the soul? First, the Higher-Self is a unique part of you. It is part of what we call the "soup of God that has your name on it". It is part of your Akash [the record of your soul's journey]. It is you, the part of God that is you, walking on the planet. It's important for you to remember that each time you incarnate, it is the same Higher-Self that comes with you. Did you realize what a friend you have here? The Higher-Self has been through all the lifetimes with you! 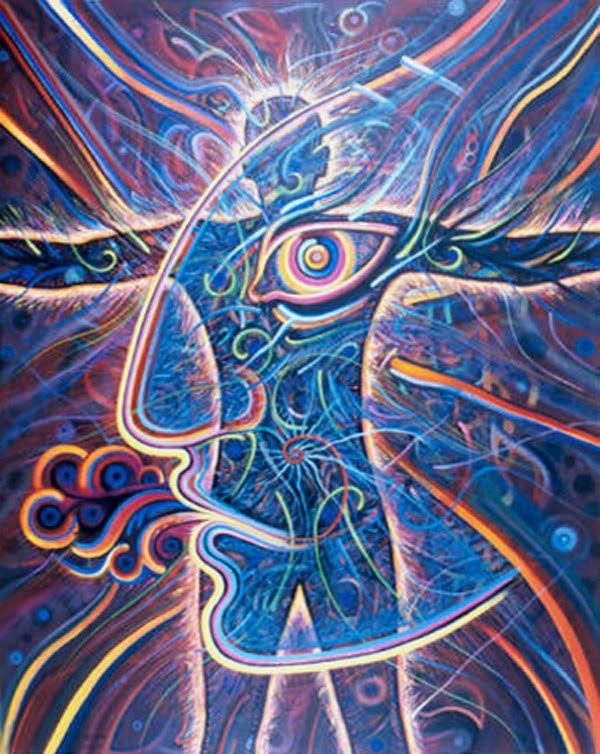 When you connect to your Higher-Self, you connect to the entire Human family - something that you know about and have been with. The Akash is the record of everything you have ever learned. It is part of the system of your innate, which is also a part of your Higher-Self. When you are NOT on planet Earth, the Higher-Self is not present. It's totally something that belongs to the duality of the Human on the planet. Now I want to talk about the soul, because it's very different from the Higher-Self. Be clear with something: In an older energy, not all Humans were able to connect with the soul parts of them. The soul part was far above their consciousness and was only a concept. Now, the new energy begins [after the 2012 shift] and we wish you to start learning to connect to the creator. What is the soul? Why is it different from the Higher-Self? For the explanation, we often get into concepts that are very difficult to explain in any language. The soul is the spark of God. It is forever, and it doesn't have your Akash within it. Instead, it has the imprint of the creator, and it is all that is. Some of you can feel it when you drop into the core during meditation. That's when it starts to come forward and you actually feel it. You know that it is not the Higher-Self. It's beyond that. However, it still belongs with you as a Human, since you are a multidimensional being. Your duality supports this, for it is corporeal and spiritual at the same time. The soul is not that which communicates with you with words or thoughts or gives you intuition. It's more than that. It's not on the other side of the veil either! It's with you, and it hides in every single piece of the corporeal you. It's the beauty of you; the magnificence of all things. There are some attributes you need to hear, for I want you to begin to practice feeling the soul within. Every moment you spend in this kind of communication changes you. Some of you will be able to do this and some of you will not. Some of you will not even care to, but for those who wish to, I want to take you there. If you're going to understand these things, you're going to have to take a little metaphoric trip with me. I want you to go to a place in yourself that is eternal. It's a safe place and only you can go there. It represents the deepest meditation you have ever had. It represents the attributes of the soul and the things it wants to give you on a daily basis. Take my hand, let's go together. Look around with me. What is the first thing you experience? If there is a hierarchy to experience, the first thing is joy - joy! It's a peaceful joy, for no matter what's happening in your life, the essence of God and love is joy! It's overflowing, and it explains why many will weep with joy when they meet themselves in this way. It is the essence of the creator in you and it's quiet and safe. You can tap into it any time you want to, for it belongs to you. The creator has a smiling face all the time! Did you realize this? Humanity needs to hear this! So many Humans believe you must suffer to get the attention of almighty God. I would like to give you a secret: JOY gets you more attention! Suffering is a three-dimensional Human attribute. It never belonged to God the creator. It was never a prerequisite for acceptance from God. Suffering is a concept that was totally created by Humans. Dear ones, again we tell you: Do not apply the attributes of humanism and Human consciousness to the Almighty, the Great Creative Source, the pure love of the Universe. God does not "think like a Human". Your soul is the essence of God. Do you know how old you are? This part of you had no beginning and will have no end. It is a circle of love that is so perfect, the Human mind cannot conceive it. The soul is part of the creative source of all things. It makes you different from the other animals, dear ones. I want you to start dropping into the core more often, to experience these things that we have not talked about before in this way. Our journey continues and we see another attribute of the soul. We only have one word for it - oneness. Oneness comes from the Ancients, who often said, "Become one with everything." All creation has the source of God, and you have the ability to become one with it all. Oneness isn't a concept. It's a state of being. Can you feel it? Can you see that the grids of the planet were created to help you feel it? Oneness allows you to feel the energy of the animals, the air, the rocks and the trees. But mostly, oneness helps you to relate to God with the others like you, the other Human Beings on the planet. Oneness is the opposite of separatism. An older energy has Humans deciding who they are and then separating themselves from others. They categorize themselves and put themselves in groups. Is that an attribute of God? Would Spirit be like that? Would the creator of the Universe decide to put you apart from the others? You are a perfect creation, and so is the one next to you and next to you and next to you and next to you [Kryon points to the audience sitting in front of him]. This goes beyond the concept of "Love your neighbor." It means that you are made of the same star stuff as they are! Oneness: Many are not able to feel this. It is a concept that is simply too high to experience. It must be sensed. Listen: Sensing the soul is an attribute that has been restricted to the Shamans of the past, and now it is yours. I want you to feel the oneness of all humanity. Don't look at what they do, but WHO they are! Did you know that as you picture this and as you feel this, it affects everything around you? 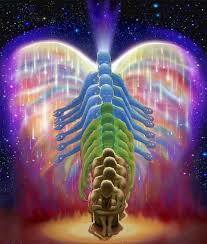 Higher consciousness is like a glue - it's sticky. It affects others around you, and it helps them to see you as a balanced person who cares. They see something they like and enjoy about you. Dear ones, you cannot hide a person who is one with everything! They glow! Their light is bright, and they smile in joy and oneness. The journey continues into the soul, and we see and feel the second attribute: Complete peace. This is not partial peace, not peace just for you, or for now, but complete, eternal peace. It's the peace that surpasses all understanding, for there is no logical reason for it. It exists because "IT IS," not because of any outside reason why it should. It is the source of peace. No matter what is happening in your life or around you, when you drop into the core of the soul, everything is perfect forever. It has nothing to do with your life, but rather with the story of creation and beyond. It takes you to the place where universes are created and things that are far beyond anything you can even imagine are common. You see, you are a part of that because you were there when the Universe was created - in complete peace. Imagine a place that you can drop into, where there's no drama, no problems and only love. This is the peace that is part of you. Your journey is almost done. We've not talked about this much, but it's about your identity. I'll call it belonging. We have said this before so many times: You are not alone! Oh, that statement goes so much beyond those words! What is it like to belong to God? What is it like to be part of God? The joy and the oneness and the peace are all in a circle around that which is your soul. It's not your Higher-Self or your pineal portal, and it's not your Akash. Instead, it is all that is. You are timeless and forever, and you belong to the central source. You belong to the creator. This belonging is forever and absolute. You can't hide from it, and you always have it. Because you are a piece of the creative source called God, that means you are never apart from it. It is you and you are it. Therefore, no matter who you think you are, you are always with family - forever. Is there anything that can ever touch that? No. As your metaphoric journey into the heart of your soul comes to a close, say it: Joy, oneness, peace and belonging. Joy, oneness, peace and belonging. Joy, oneness, peace and belonging. I've just given you the secrets of the Shamans. Sometimes they would sit for hours and sort through those concepts, trying to integrate them or separate them from the corporeal Human Being - anything that would make them more potent and real. They wished to capture the essence of them and claim them as their own and use them. In an older energy, it was frustrating to feel these yet not be able to touch them or work closely with them. Now that is starting to change. Human DNA is starting to grow more spiritually functional, and in the process, it is going to take on more energy. The attributes of this beautiful, eternal soul are finally going to be able to be held by you in a corporeal way. Did you see it in the masters? Yes! This is what attracted you to them. You FELT God in them, and as part of humanity, you reacted. You revere them today and remember these who could touch the face of eternity with every step. Come back now and join me in the chair. Listen: All of these things are part of what you can be. Today, for the first time, we have started speaking of these things: Joy, oneness, peace, belonging. So now I'll ask you again: Who are you? With these masterful tools, who are you? I'll tell you who you are. Raise your hand and make this statement if you wish: "I am part of the creative source. I'm as old as old. I'm as young as young. I am eternal and my wisdom is forever. I can co-create miracles even though I am a Human, because my soul awakens in me and the beauty of mastery is finally within my grasp. I am God." Dear ones, even a little goes a long way. Your entire body and all your cells are ready to awaken to this truth. I want you to sit and go to this core every day.